Ever since curved display got announced, Samsung has been trying to use it to launch devices where its inclusion is appreciated, we have seen phones and TV housing this display and now Samsung has expanded their portfolio with the launch of Samsung Gear S. They have done a good job this time as the introduction of curved display in wearables will result in compact and cool designs. There is a major drawback all the smart watches or wearables faced, that it needs a smartphone to support its connectivity needs or the device was never independent and only be used as an optional extra along with the smartphone. Apart from their claims that it’s an expansion for your smartphone, Samsung’s thought process to provide 3G connectivity in this device is praiseworthy. The performance of this device can only be judged after its launch but the technologies they put in this one are promising and it’s sure that the others will follow these aspects as well. The 2 inch Curved Super AMOLED display needs special remark. There is no doubt that this new technology will perform better than in phones. In phones the curved display is said to give problems to fit in pockets but that same curve make it fit easily in the wrist. It provides both onscreen and changeable strap customization. Samsung provides 3G, Wi-Fi, and Bluetooth connectivity in this device. You can read and sent messages receive and sent calls directly from the Gear S. Input is either via onscreen keyboard or S voice. This means that it can be used as an independent device or as an extension to your smartphone. Gear S has apps and features custom designed for it. A combined notification board is one which makes available easy access to notifications. HERE, for navigation, and news updates via fastFT. Wearables boasts fitness features and this one is no exception, with features like S health and Nike+ which utilizes the built in GPS and multi sensors. Specification wise this isn’t any smartphone, but it will just cut the deal. 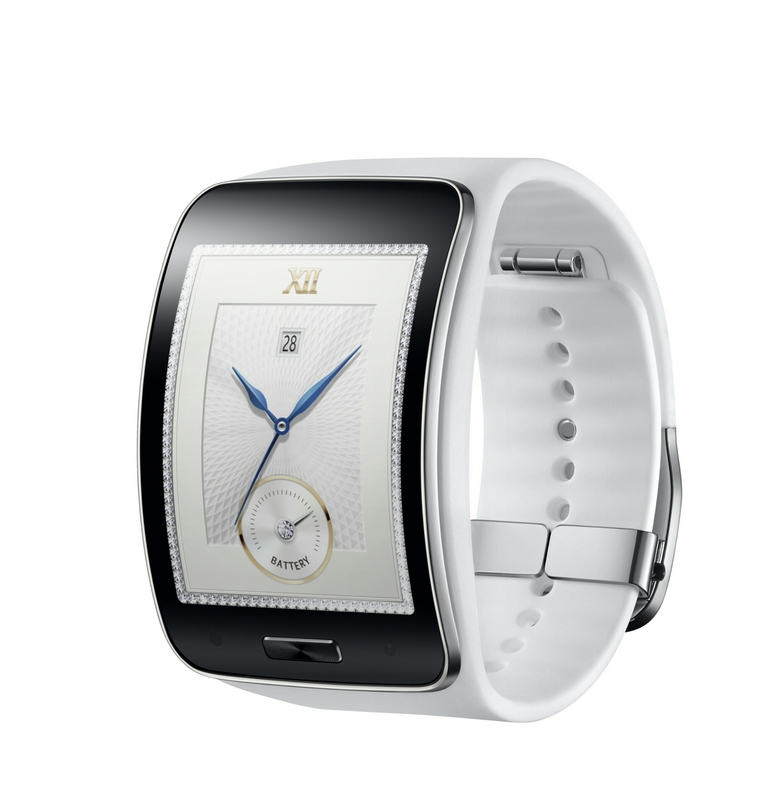 It runs on Tizen based platform for wearables. The CPU is a 1 GHz dual core from an undisclosed manufacturer and 512 MB of RAM is there alongside 4 GB of internal memory. The Super AMOLED display has 360 x 480 resolution. The 300 mAh battery is claimed to last for 2 days. The device will be available from October first week, no words on pricing yet.